That’s right, no temporary dentures! 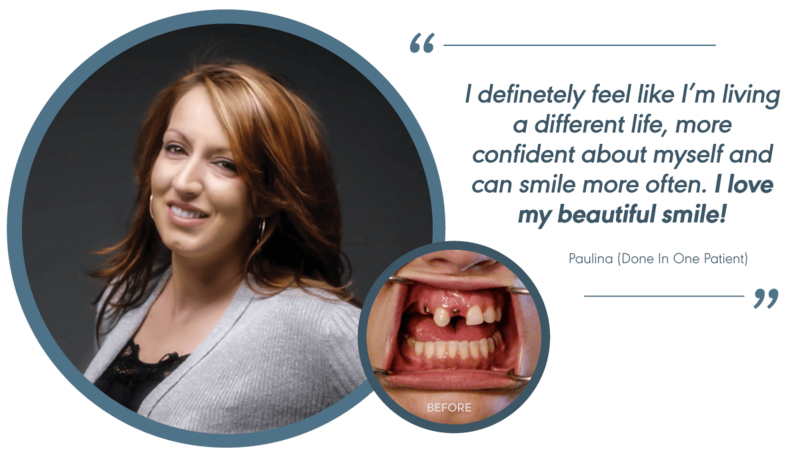 We deliver your first and final teeth within 48 hours following surgery. This cutting edge technology combined with our specialized team of board certified surgeons with multi-year residencies in implant surgery, allows us to deliver your first and final permanent teeth in about 48 hours following surgery. No temporary teeth! 100% fully digitally designed hybrid bridge for a long lasting beautiful smile! We deliver smiles that are life like, custom designed just for you to ensure a look thats totally natural. 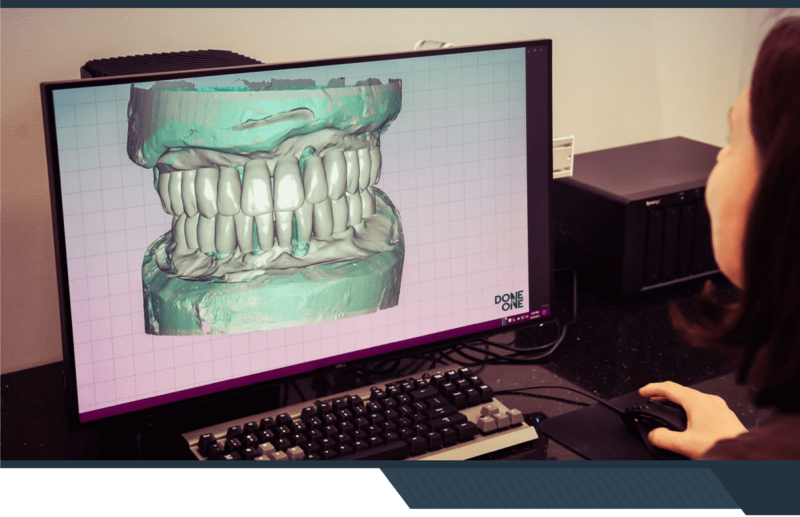 Each Done In One™ hybrid bridge is custom designed by professional dental computer designers in one of the most sophisticated digital dental design and milling centers in the country. 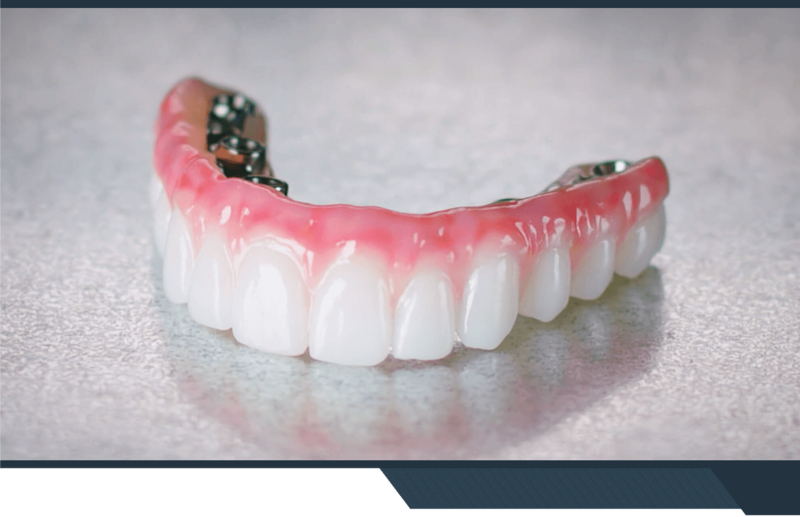 After designing and milling, your new set of implant teeth is custom stained by a team of highly skilled master ceramists to create a beautiful and natural looking set of teeth.